October has lived up to its reputation as being one of the most volatile for equity investors. In addition to being a month historically known for profit taking, there is a confluence of events that are challenging stock prices. The tariff conflict continues to hang over the market, leaving investors to wonder how it will affect U.S. businesses doing business in China, and what will happen to the U.S. economy if consumers have to adjust to higher prices on imports. The market is also digesting higher interest rates, the consequences to businesses as they digest an economy that is reaching full employment and shrinking margins. The phrase “perfect storm” can often be overused, but in October 2018, it may be the most apt description. The good news for investors is that after every time the market goes through these correction periods, there are exceptional buying opportunities – and many times the highest gains go to the investors who prudently buy during the dips. Think of it like buying next year’s holiday decorations on December 26. When investors buy stocks that are on sale, they can get both value and growth. The same is true right now. It may not be the time to dive into the market with both feet, but there are buying opportunities. In this presentation, we're giving you eight stocks that are selling at a discount, but still, show the fundamentals to be great buying opportunities as we approach the fourth quarter earnings season. Netflix (NASDAQ: NFLX) - There is a psychology to many selloffs, and Netflix seems to fit into that pattern very well. The streaming content provider’s stock has dropped nearly 20% since mid-July. While some analysts may have had the stock overvalued, it’s fair to ask if the selloff has gone too far. Here’s why. For starters, Netflix seems to be taking a hit for wanting to be accurate. In three out of their last 10 quarters, the company has overestimated their membership growth. But they are still increasing membership, and a closer look shows that their membership growth in the first half of 2018 was significantly ahead of that from 2017. And the larger question is the story for Netflix is not about granular growth as measured quarter by quarter, it’s about how fast the company is growing. That is a story that shows a 40% year-over-year revenue increase and a 25% growth in streaming subscribers. Some analysts are projecting Netflix’s earnings per share (EPS) to grow by 60% per year for the next five years. All of those metrics don’t take into account their international growth. Membership worldwide has risen 40% year over year with revenue increasing by 65% over the same period. And Netflix has demonstrated an ability to raise their current prices while continuing to add new subscribers. Netflix, Inc. provides Internet entertainment services. The company operates in three segments: Domestic streaming, International streaming, and Domestic DVD. It offers TV series, documentaries, and feature films across various genres and languages. The company provides members the ability to receive streaming content through a host of Internet-connected screens, including TVs, digital video players, television set-top boxes, and mobile devices. It also provides DVDs-by-mail membership services. The company has approximately 139 million paid members in 190 countries. Netflix, Inc. was founded in 1997 and is headquartered in Los Gatos, California. Ratings Breakdown: 28 Buy Ratings, 9 Hold Ratings, 4 Sell Ratings. Facebook (NASDAQ: FB) - Of all the FAANG stocks, Facebook may be the one that would seem to offer the least likely growth opportunity. There have been privacy concern issues, for sure. But for a stock that generates over 40 cents of every dollar into free cash, it seems analysts may want to take a second look. After all, Facebook bought back $5.1 billion of their shares in the first half of 2018 and it’s likely that they’ll buy back the same amount, or more, in the second half. Anytime a company is buying back its own shares, they believe that their stock is undervalued. And with Facebook, there’s reason to believe that story is true. And a big reason for that is Instagram, which Facebook owns. According to estimates, approximately 15% of the company's advertising revenue came from Instagram, which represents about $6 billion of the company's $40.7 billion top-line number for 2017. As Instagram’s ad revenue continues to increase in 2018, one analyst projects that Instagram’s ad revenue could account for 33% of Facebook’s overall advertising revenue by 2020. Which brings us back to the free cash flow (FCF) story, and that's the real game-changer for Facebook. The stock is currently trading at approximately 26 times its free cash flow. Even without a higher share price for two years, the anticipated free cash flow would have the company trading at 19 times FCF. That would be an awfully tasty number for investors. Facebook, Inc. provides various products to connect and share through mobile devices, personal computers, and other surfaces worldwide. The company's products include Facebook that enables people to connect, share, discover, and communicate with each other on mobile devices and personal computers; Instagram, a community for sharing photos, videos, and messages; Messenger, a messaging application for people to connect with friends, family, groups, and businesses across platforms and devices; and WhatsApp, a messaging application for use by people and businesses to communicate in a private way. It also provides Oculus, a hardware, software, and developer ecosystem, which allows people to come together and connect with each other through its Oculus virtual reality products. As of December 31, 2018, it had approximately 1.52 billion daily active users. The company was founded in 2004 and is headquartered in Menlo Park, California. Ratings Breakdown: 38 Buy Ratings, 5 Hold Ratings, 3 Sell Ratings. Alphabet Inc. (NASDAQ: GOOGL) - It almost seems absurd to put a company that’s trading at over $1,100 per share at this writing as being “on sale”. But that doesn’t change the fact that Alphabet, which is the parent company of Google is down from highs over $1,200 in early July. Unlike Facebook, there is no lack of transparency about where Alphabet’s revenue comes from. Google generates 86% of its revenue from advertising. Its Google Ad Words is the de facto standard for businesses that are becoming more dependent on digital media for their advertising spend. Google is still considered the industry’s leading search engine and they continue to see growth through YouTube. Google is also getting set to launch three new products (their Pixel 3 Smartphone, Pixel Slate tablet, and Home Hub device) that may allow the company to generate even more revenue. The company does face some headwinds related to their stated desire to push ahead with developing a censored search engine for China. The very fact that the company remains so committed to the project, even while there remains no guarantee that such a search engine would ever launch, speaks to the impact that expanding into the Chinese market would offer Google as they strive to become more competitive in other markets. Alphabet Inc., through its subsidiaries, provides online advertising services in the United States and internationally. The company offers performance and brand advertising services. It operates through Google and Other Bets segments. The Google segment includes principal Internet products, such as Ads, Android, Chrome, Commerce, Google Cloud, Google Maps, Google Play, Hardware, Search, and YouTube, as well as technical infrastructure and newer efforts, including Virtual Reality. This segment also offers digital content, enterprise cloud services, and hardware products, as well as other miscellaneous products and services. The Other Bets segment includes businesses, such as Access, Calico, CapitalG, GV, Nest, Verily, Waymo, and X, as well as fiber Internet and Television services. Alphabet Inc. was founded in 1998 and is headquartered in Mountain View, California. Ratings Breakdown: 29 Buy Ratings, 1 Hold Ratings, 0 Sell Ratings. Adobe (NASDAQ: ADBE) - Yet another technology stock that merits a closer look despite the recent selloff is Adobe. The undisputed leader in cloud space technology is primed to benefit from an industry that is forecasting demand for cloud services to grow over the next 2-3 years. In their most recent earnings guidance, the company forecast 20% growth for its 2019 overall sales and digital media revenue. Unlike the FAANG stocks, Adobe made it through the tech sell-off in July relatively unscathed and the stock has continued to rise. In fact, some analysts have taken note of how Adobe has continued to rise in a sector where many companies have not. This is why many analysts are bullish on the stock’s prospects going forward and why, even with their stock trading at a record level right now, the best may be yet to come, which would make their current price seem like a bargain. Not only does the company pass the smell test from a fundamental analysis viewpoint, but the technical indicators look great as well. Their stock chart for 2018 shows rhythmic, symmetrical support and a stock price that has risen to new heights off support levels. Adobe Inc. operates as a diversified software company worldwide. Its Digital Media segment provides tools and solutions that enable individuals, small and medium businesses, and enterprises to create, publish, promote, and monetize their digital content. Its flagship product is Creative Cloud, a subscription service that allows customer to download and access the latest versions of its creative products. This segment serves traditional content creators, Web application developers, and digital media professionals, as well as their management in marketing departments and agencies, companies, and publishers. The company's Digital Experience segment offers solutions for how digital advertising and marketing are created, managed, executed, measured, and optimized. This segment provides analytics, social marketing, targeting, media optimization, digital experience management, cross-channel campaign management, marketing automation, audience management, and video delivery and monetization solutions to digital marketers, advertisers, publishers, merchandisers, Web analysts, chief marketing officers, chief information officers, and chief revenue officers. Its Publishing segment offers products and services, such as e-learning solutions, technical document publishing, Web application development, and high-end printing, as well as publishing needs of technical and business, and original equipment manufacturers (OEMs) printing businesses. The company offers its products and services directly to enterprise customers through its sales force, as well as to end-users through app stores and through its Website at adobe.com. It also distributes products and services through a network of distributors, value-added resellers, systems integrators, software vendors and developers, retailers, and OEMs. The company was formerly known as Adobe Systems Incorporated and changed its name to Adobe Inc. in October 2018. The company was founded in 1982 and is headquartered in San Jose, California. Ratings Breakdown: 17 Buy Ratings, 9 Hold Ratings, 0 Sell Ratings. Delta Air Lines (NYSE: DAL) - Airline stocks are always somewhat hard to forecast, but after a share price that dropped below $50 per share and still continues to trade about 10% off its year-to-date high near $60, it may be time for a closer look. One of the issues suppressing the stock, along with investor patience, is fuel prices. As crude oil prices continue to increase, investors have some reason to question whether or not the stock will grow. As a result, despite Delta’s optimistic projection of a significant increase in revenue per available seat mile (RASM) for the third quarter, some analysts are more concerned about the bigger picture for the stock. With higher fuel costs, at least in the short term, Delta will be hard pressed to meet its goal of a flat pre-tax margin (it had been negative). However, with a recently renovated fleet and the company's ability to keep non-fuel costs in line, investors who have the patience to ride this stock out until oil prices level out, or start to decline, may be rewarded with a stock that is looking to be selling at a nice discount. Delta Air Lines, Inc. provides scheduled air transportation for passengers and cargo in the United States and internationally. The company operates through two segments, Airline and Refinery. Its route network is centered on a system of hubs and markets at airports in Amsterdam, Atlanta, Boston, Detroit, London-Heathrow, Los Angeles, Mexico City, Minneapolis-St. Paul, New York-LaGuardia, New York-JFK, Paris-Charles de Gaulle, Salt Lake City, São Paulo, Seattle, Seoul-Incheon, and Tokyo-Narita. The company sells its tickets through various distribution channels, including delta.com and mobile applications/Web, telephone reservations, online travel agencies, traditional brick and mortar, and other agencies. It also provides aircraft maintenance, repair, and overhaul services; and vacation packages to third-party consumers, as well as aircraft charters, and management and programs. The company operates through a fleet of approximately 800 aircraft. Delta Air Lines, Inc. was founded in 1924 and is headquartered in Atlanta, Georgia. Ratings Breakdown: 13 Buy Ratings, 5 Hold Ratings, 0 Sell Ratings. Federal Express (NYSE: FDX) - Federal Express seems to be an example of how you can always find something negative if you look closely enough. And analysts certainly seem to be doing just that. The stock has been steadily tumbling since reaching a high of around $275 in January. Before the recent sell-off, it was still trading around $250. Now, it's around $220 despite solid earnings. One of the reasons for this is the company's admission that the continuing trade conflict with China is hurting their business. But that alone shouldn't explain the precipitous drop. The company took the rather unique approach of saying that in future conference calls, they would stop reviewing individual sectors and focus on the company as a whole. Market analysts seem to be approaching this upcoming lack of information with the same disdain the media has to a Bill Belichick post-game press conference. The biggest challenge for FedEx going forward is a negative free cash flow and an aging infrastructure that will be a drag on profits and potentially allow Amazon to encroach on this space. FedEx Corporation provides transportation, e-commerce, and business services worldwide. The company's FedEx Express segment offers shipping services for delivery of packages and freight. Its FedEx Ground segment provides business and residential money-back guaranteed ground package delivery services; and consolidates and delivers low-weight and less time-sensitive business-to-consumer packages. The company's FedEx Freight segment offers less-than-truckload and freight delivery services. As of May 31, 2018, it operated approximately 27,000 vehicles and 370 service centers. The company's FedEx Services segment provides sales, marketing, information technology, communications, customer, technical support, billing and collection, and other back-office support services. It also offers FedEx Mobile, a suite of solutions to track packages, create shipping labels, view account-specific rate quotes, and access drop-off location information; FedEx Office, a suite of printing and shipping management solutions for copying and digital printing, professional finishing, document creation, direct mail, signs and graphics, computer rentals, Wi-Fi, and corporate print solutions; and packing services, supplies, and boxes, as well as FedEx Express and FedEx Ground shipping services. The company's Corporate, Other and Eliminations segment offers international trade services in customs brokerage, and ocean and air freight forwarding services; cross-border enablement and technology solutions, and e-commerce transportation solutions; integrated supply chain management solutions; time-critical shipment services; critical inventory and service parts logistics, 3-D printing, and technology repair. This segment also provides international trade advisory services, including assistance with the customs-trade partnership against terrorism program; and publishes customs duty and tax information. FedEx Corporation was founded in 1971 and is headquartered in Memphis, Tennessee. Ratings Breakdown: 14 Buy Ratings, 6 Hold Ratings, 0 Sell Ratings. Freeport-McMoRan (NYSE: FCX) - Freeport-McMoRan is garnering a lot of attention from investors. One of the reasons for this is what seems to be a resolution for a deal surrounding its flagship mining property in Indonesia. That and the fact that CEO, Richard Adkerson, has announced a willingness to sell the company. That will always raise eyeballs. However, while that looks unlikely at this time, one thing that looks positive for the company is their fundamentals. All in all, with a market capitalization of around $17.7 billion, the company appears to be largely undervalued, and a look inside the numbers shows that the stock might be poised for a lift. The company’s most recent earnings report showed a healthy balance sheet with debt on the decline and a positive free cash flow of $827 million. The company also showed a slight increase in year-over-year earnings and sales and shareholders were able to retain $1.46 billion (or $0.60 per share). In the next fiscal year, the company is forecasting total earnings per share that would justify a stock price around $15.07 per share, well above where it is currently trading around $12 per share. Freeport-McMoRan Inc. engages in the mining of mineral properties in North America, South America, and Indonesia. The company primarily explores for copper, gold, molybdenum, silver, and other metals, as well as oil and gas. Its assets include the Grasberg minerals district in Indonesia; Morenci, Bagdad, Safford, Sierrita, and Miami in Arizona; Tyrone and Chino in New Mexico; and Henderson and Climax in Colorado, North America, as well as Cerro Verde in Peru and El Abra in Chile. It also operates a portfolio of oil and gas assets comprising oil and natural gas production onshore in South Louisiana; and oil production offshore California. As of December 31, 2018, the company's estimated consolidated recoverable proven and probable mineral reserves totaled 119.6 billion pounds of copper, 30.8 million ounces of gold, and 3.78 billion pounds of molybdenum, as well as estimated proved developed oil and natural gas reserves totaled 7.2 million barrels of oil equivalents. The company was formerly known as Freeport-McMoRan Copper & Gold Inc. and changed its name to Freeport-McMoRan Inc. in July 2014. Freeport-McMoRan Inc. was founded in 1987 and is headquartered in Phoenix, Arizona. Ratings Breakdown: 6 Buy Ratings, 9 Hold Ratings, 3 Sell Ratings. General Electric (NYSE: GE) - When you've hit the bottom, there's nowhere to go but up, right? That might be the cynical argument for buying General Electric. However, there is a brighter story. Their new CEO, Lawrence Culp, successfully turned around the industrial company Danaher and will bring the principles of the Toyota Production System (TPS) to General Electric. Can analytics make a difference? The company is betting on it and with good reason. GE has been trying, unsuccessfully to divest itself of their underperforming business units while identifying and growing their profitable ones. That is where Culp succeeded at Danaher and the thought is he can achieve similar success to GE. With a stock price currently around $12 a share, the stock has actually climbed around 13% since Culp was named to the position. While the stock may not be for the faint of heart, there does seem to be evidence of a bright future for GE shares. General Electric Company operates as a high-tech industrial company worldwide. It operates through Power, Renewable Energy, Aviation, Oil & Gas, Healthcare, Transportation, Lighting, and Capital segments. The Power segment offers technologies, solutions, and services related to energy production, including gas and steam turbines, generators, and high voltage equipment; and power generation services. The Renewable Energy segment provides wind turbine platforms, and hardware and software; offshore wind turbines; solutions, products, and services to hydropower industry; and blades for onshore and offshore wind turbines. The Oil & Gas segment offers oilfield and oilfield equipment, turbomachinery and process solutions, and digital solutions. The Aviation segment provides jet engines and turboprops for commercial airframes; maintenance, component repair, and overhaul services, as well as replacement parts; and additive machines and materials, and engineering services. The Healthcare segment provides healthcare technologies in medical imaging, digital solutions, patient monitoring, and diagnostics, drug discovery, biopharmaceutical manufacturing technologies and performance enhancement solutions. The Transportation segment provides freight and passenger locomotives, and rail and support advisory services; parts, integrated software solutions, and data analytics; software-enabled solutions; mining equipment and services; and marine diesel engines, and stationary power diesel engines and motors for drilling rigs, as well as overhaul, repair and upgrade, and wreck repair services. The Lighting segment offers light emitting diode products; and energy efficiency and productivity solutions. The Capital segment leases and finances aircraft, regional jets, turboprops, freighters, engines, helicopters, as well as offers financing and materials; financial and underwriting solutions; and insurance services. The company was founded in 1892 and is based in Boston, Massachusetts. Ratings Breakdown: 10 Buy Ratings, 8 Hold Ratings, 2 Sell Ratings. Corrections are a part of every market, even a bull market like the one that investors are currently enjoying. During these times, there is always profit potential, because frequently corrections provide the opportunity for investors to buy great stocks while they’re on sale. This latest correction is no different. 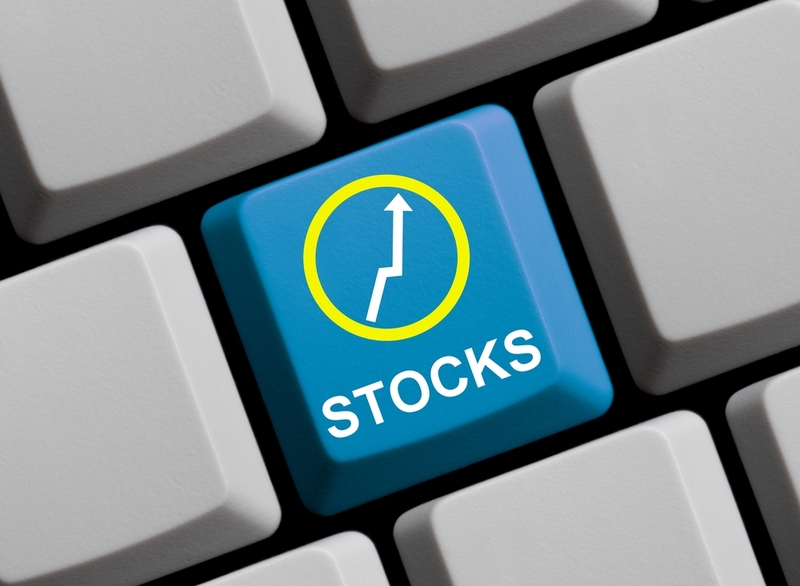 From tech stocks to manufacturing, there are some appealing stocks with great brand names that are now offering investors a chance to swoop in and add to their portfolio at attractive prices. Just as October is a notoriously painful month for stock, the run-up to the Holiday season is typically a time when the market experiences some of its greatest gains. But as the saying goes, you can’t win if you don’t get in the game. These eight stocks look to be screaming “Sale” right now, making them strong options for you to consider in your portfolio.